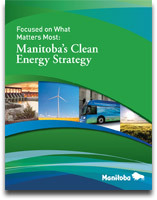 The Manitoba NDP government released a new energy plan for the province in late 2012. Comments are being sought through a web page on the government website. Recently the Manitoba government also released a discussion paper about its plan to update Manitoba's Sustainable Development Act. Citizens can send comments until February 28, 2013, based on the discussion paper. It appears that comments are only through a web page. The Manitoba NDP condoned the COSDI report when it was released, and then made it government policy when they formed government. COSDI called for a significant improvement in the public registry in Manitoba, with access to public review comments, including for planning, new legislation and policy reviews. "It is time to hold public meetings to encourage Manitobans to provide their feedback and comments in a conversation about our energy future and sustainability in our province." said Gaile Whelan Enns, director, Manitoba Wildlands.